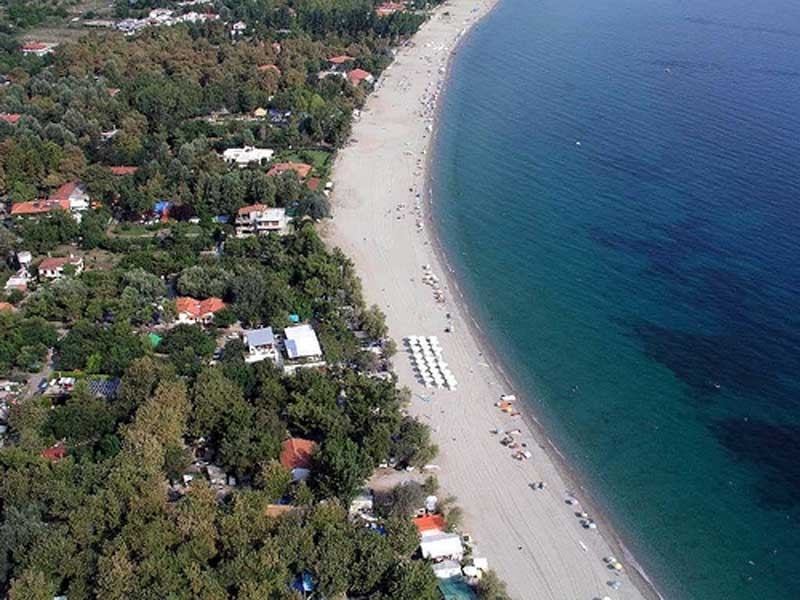 The camping is at one of the most beautiful beaches in Greece. It literally means a jewel on the coast of Thermaikos. The flawless combination of mountain and sea in all its glory. 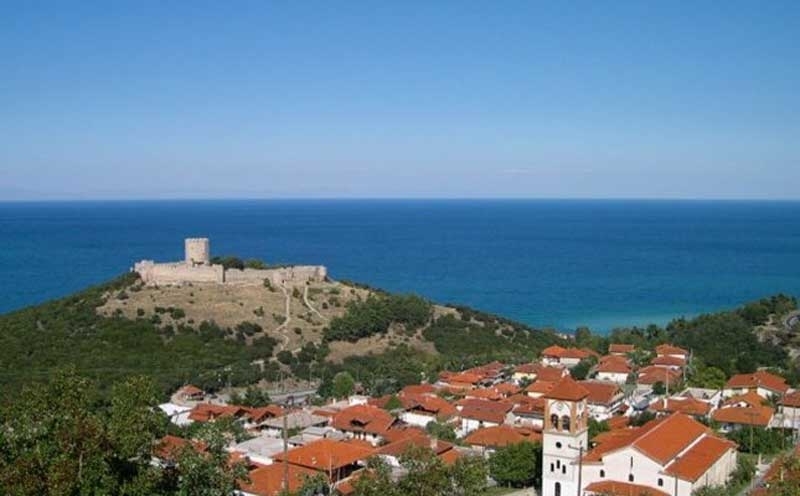 It is located very close to the renovated traditional settlement of Palaios Panteleimon.There you can find excellent tavernas and standard guestrooms. Just above the village, near the church of Prophet Elias, is the starting point for paragliding. 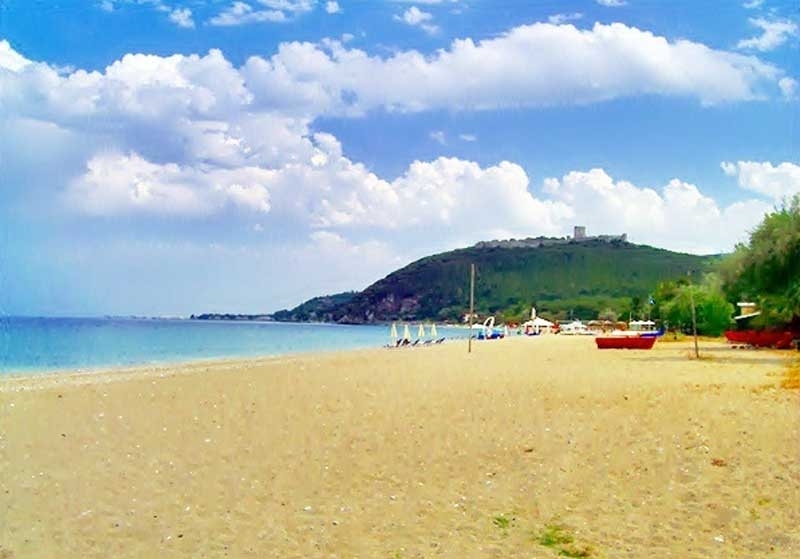 As for the beach, the coast has rare natural beauty and it is at the foot of Olympus and combines harmoniously pebbles and sand. Seaside resort with crystal clear waters and lush, spotless with the Blue Flag of Europe. 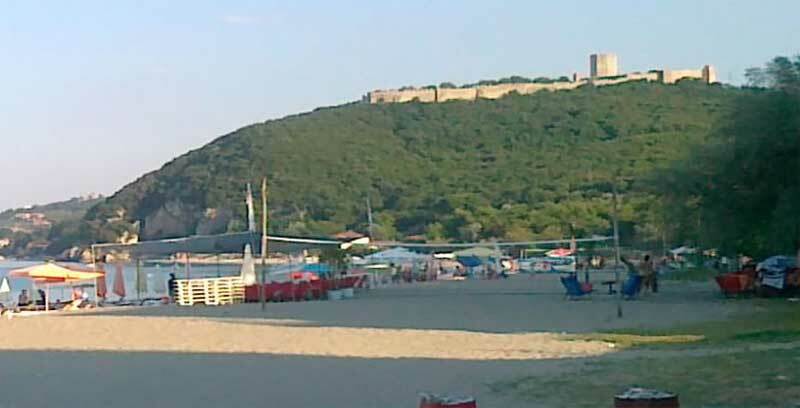 Organized and safe beach ideal for family holidays and for every type of visitor. 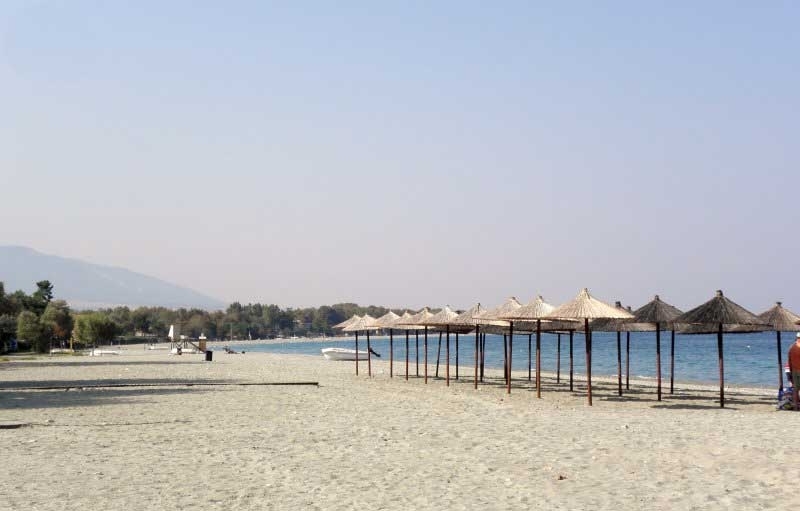 It is 33 km from Katerini and 54 km from Larissa with easy access from the National Motorway E75 (node Panteleimon) and train station (Station Neoi Poroi). 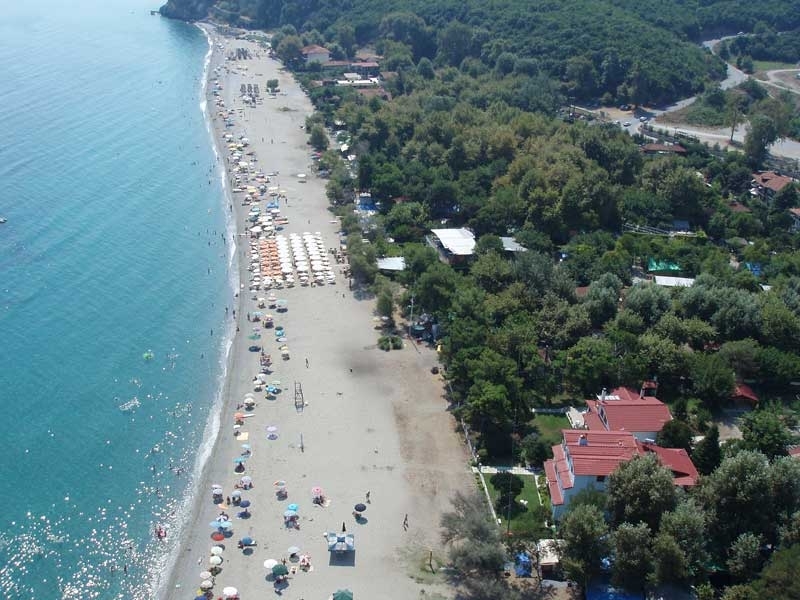 The Beach Panteleimon is a settlement of the municipal district Panteleimon, the former Municipality of East Olympos, which is an administrative unit of the municipality Dion - Olympus in Pieria Central Macedonia Region, and one of 16 total coast of the county. Located just below the castle Platamon. The coastline of the beach is 3 km. Each year it is awarded with the Blue Flag by the European Union because of the purity of water and the sandy coast. 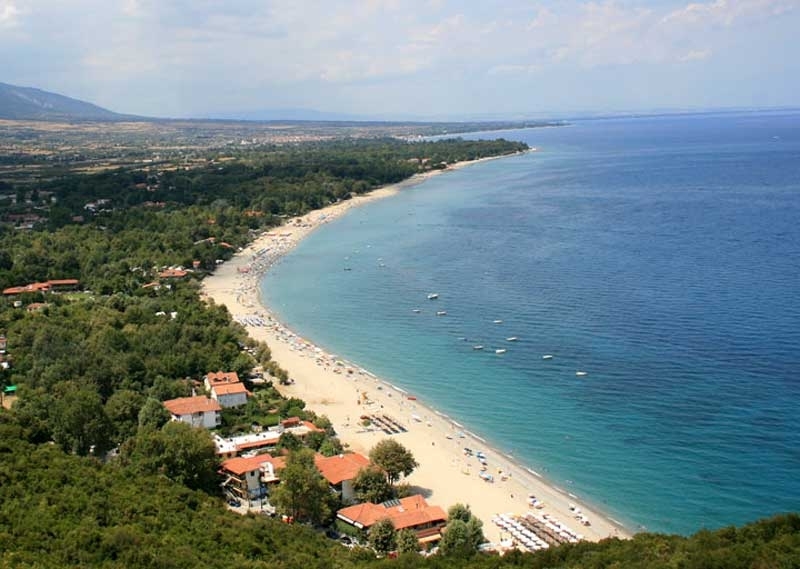 It combines mountain and sea and one of the most beautiful beaches in Greece. Beside the sea there are plane trees and poplars. A river flows into the sea thus ending the long journey from the sources of Olympus. 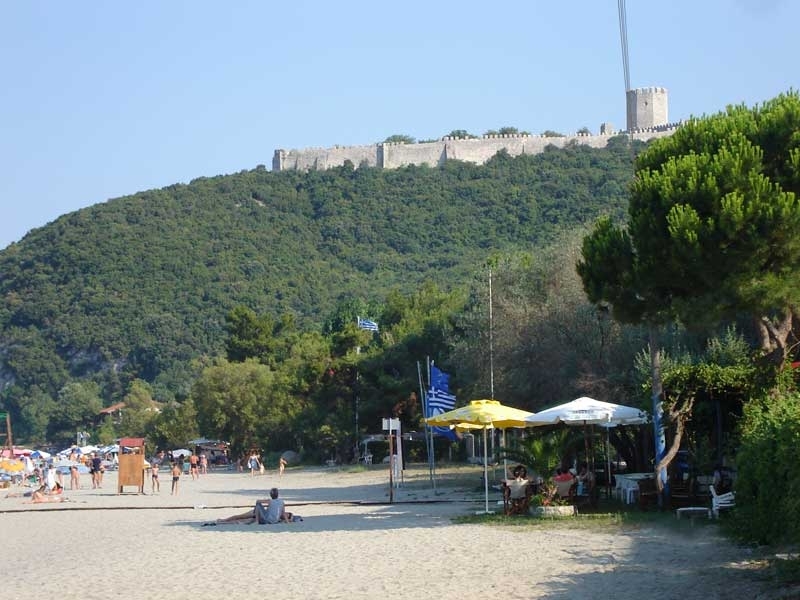 According to the latest archaeological excavations in the area during the construction of the railway tunnel under the castle, found discoveries of prehistoric times and the Byzantine Period, and that led archaeologists to conclude that there developed the ancient city Heraclea.